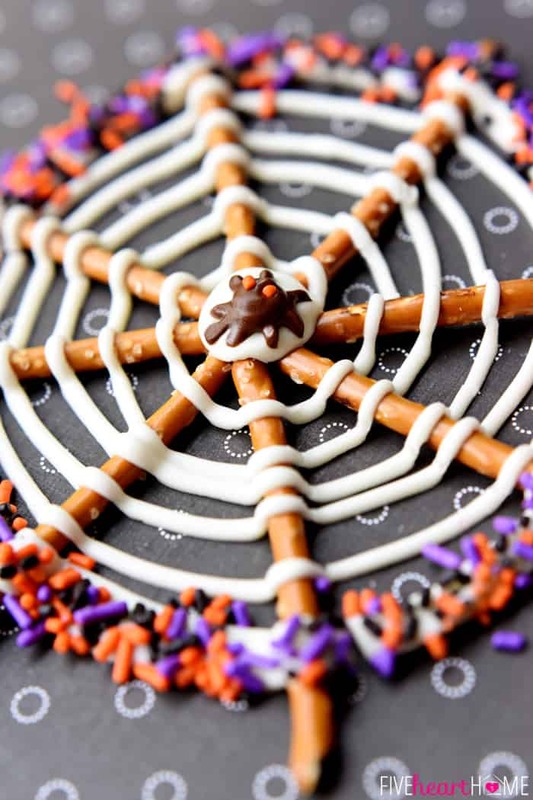 Pretzel Candy Spiderwebs are festive, sweet & salty treats that are fun to make with the kids or serve at a Halloween party! Well, folks…October will be here before we know it and I couldn’t hold out any longer. 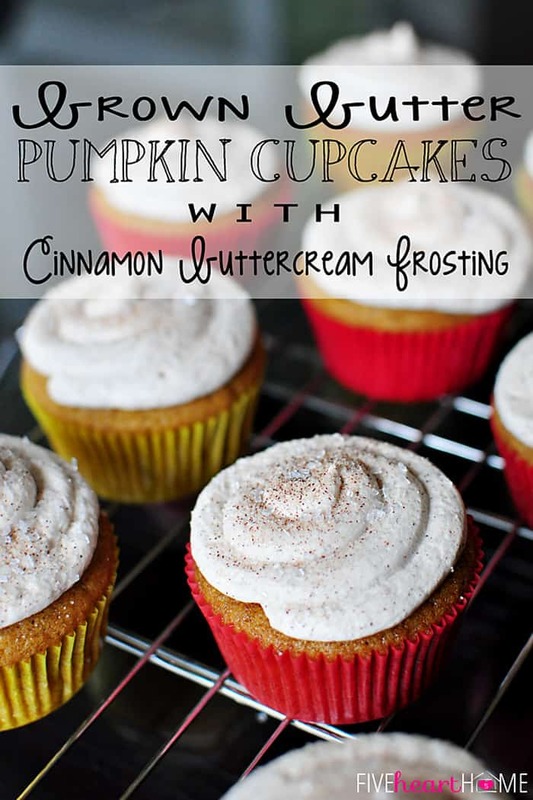 I’ve got a fun and festive Halloween recipe for you today! I love making holiday treats for or with my kiddos, and I have to admit to letting my whole “real food” philosophy slide when doing so. 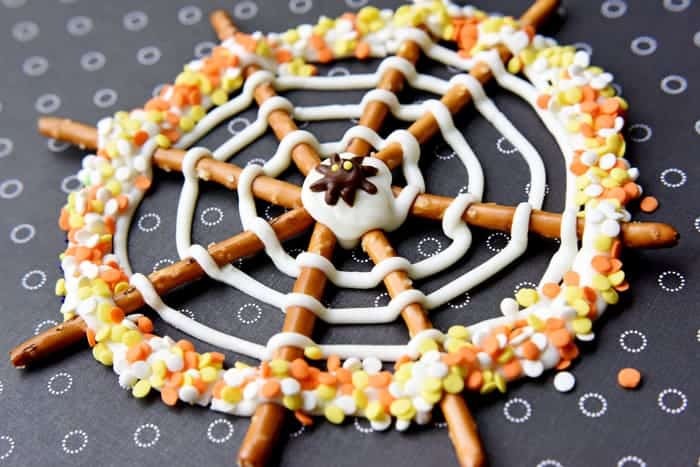 Because let’s face it…how could you make cute spiderwebs like these without utilizing less-than-natural candy coating and brightly-colored sprinkles?! 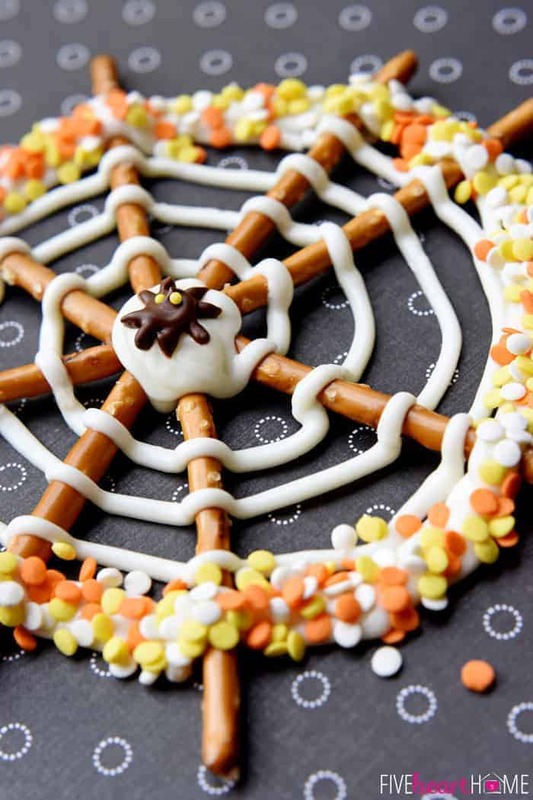 Pretzel Candy Spiderwebs are the perfect combination of salty and sweet, creamy and crunchy. If you like white chocolate-covered pretzels, these babies will be right up your alley! I started with a 16-ounce package of vanilla candy coating, which ended up being enough for about ten large webs. I think there’s going to be some variability as to how many webs you can make depending on how long your pretzel sticks are, how close together you spiral your web, and how generous you are with the center dot and outermost ring of the spiderweb. By far, the trickiest part of these Pretzel Candy Spiderwebs was getting them off of the wax paper without breaking the strands. So here’s my solution to save your adorable spiderwebs from potential demise: before getting started, cut out circles of wax paper on which to create each individual web. My pretzel rods were such a length that I needed an 8-inch diameter circle, so I simply found a bowl of that size and traced it. After I had all of my circles cut out, I arranged the pretzels in starburst patterns and started assembling my webs. The beauty of making these on wax paper circles is that, once the webs are completely set, you can attempt to carefully peel off the paper. If it works, yay for you! But if the webs seem too delicate and start cracking, simply leave them stuck to the wax paper circles for serving. Believe me…kids and/or party guests will have no problem peeling pieces of their pretzel webs off of the wax paper circles as they eat them! As far as adornments, go crazy with a variety of sprinkles…or leave them off altogether. Jazz up your spider, if you wish. And you could even make milk or dark chocolate webs with white chocolate spiders if you’re in the mood to really change things up! 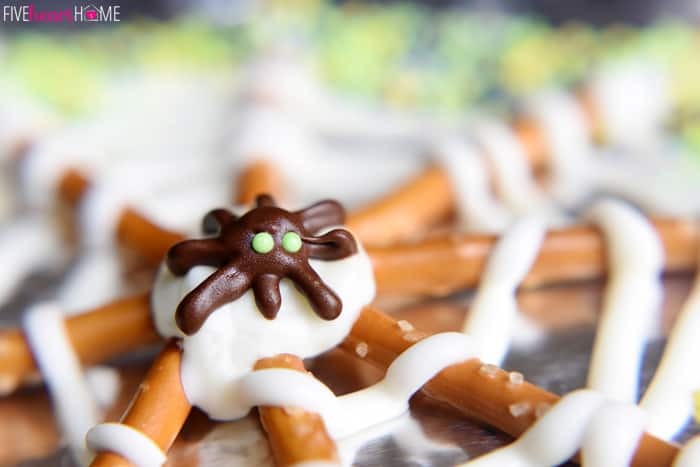 Pretzel Candy Spiderwebs are a delightful project to make with the kids or a cute and tasty party treat. 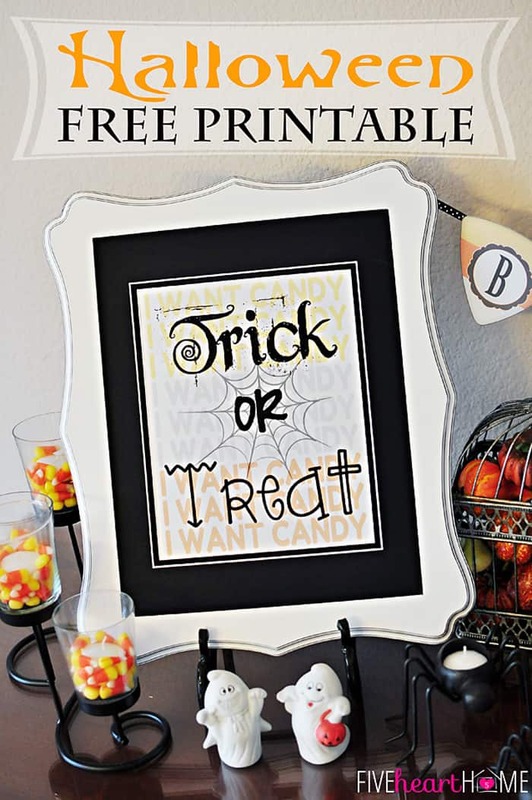 I hope they help you get in the Halloween spirit (and be sure to scroll all the way down to the bottom of this post for even more fun Halloween ideas)! Use an approximately 8-inch diameter bowl to trace circles onto wax paper. Cut out and place wax paper circles on cookie sheets and arrange 8 pretzel sticks on each circle so that they are touching in the center and radiating outwards. Melt the candy coating according to package directions (do not overheat). Stir until smooth and trasfer to a gallon-sized heavy-duty/freezer plastic bag. Snip a 1/4-inch hole in the corner of the bag and pipe a flat circle in the center of the pretzels where they meet. Starting at the center and working outwards, make a spiraling line across the pretzels until a spiderweb look is achieved. Stop before reaching the tips of the pretzels so that they stick out a bit beyond the outermost ring. Pipe over the outermost ring several times in order to make it thicker, so that the sprinkles have a place to adhere. Pour sprinkles in a bowl and use a small spoon to carefully pour sprinkles over the thick outer ring of the spiderweb. 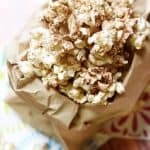 Place chocolate chips in a microwave safe bowl and heat in 30-second increments, stirring well in between, until chocolate is melted and smooth. Transfer melted chocolate to a small plastic baggie and snip a tiny hole in the corner of the bag. In the center of each spider web, make a spider by starting with the legs. Draw a thin plus sign (+) topped with an X, which should end up looking like 8 small legs. 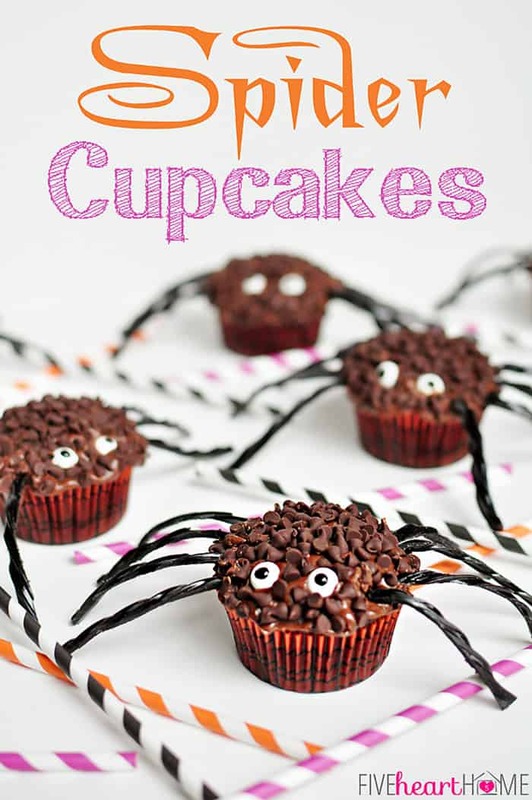 Fill in a small circle of chocolate on top for the spider's body. Place two tiny sprinkles on top for eyes. Allow webs to dry for several hours until completely set. Carefully peel spiderwebs from wax paper (if you are able to do so without breaking), or serve directly from wax paper circles. These are so incredibly creative! Love them! I really appreciate that, Marcie. 🙂 Have a wonderful weekend! Thanks so much for participating in the Halloween series!! I just love your post and I’m so glad you signed up. Thanks again! Thank YOU so much for putting together this amazing Halloween series, Alli! 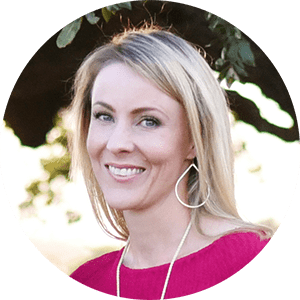 I am honored to be participating, and I think you are SUPERWOMAN to be coordinating everything, much less taking the time to leave blog comments with that sweet, brand new baby! 🙂 Hope he’s doing well and that you all have a great weekend! Lots of talent here. Thank you. Thanks so much, Liz! Have fun with these. 🙂 Hope you’re having a lovely weekend! How cute. I will be making these this year. Thanks for sharing. Wow, these are beautiful, very creative, and talented! I love these spiderwebs. So cuuuuuuuuuuuuuuuuuuuuuuuuuute! Such a cute treat! I love the different color sprinkles! This is absolutely adorable! Pinned! 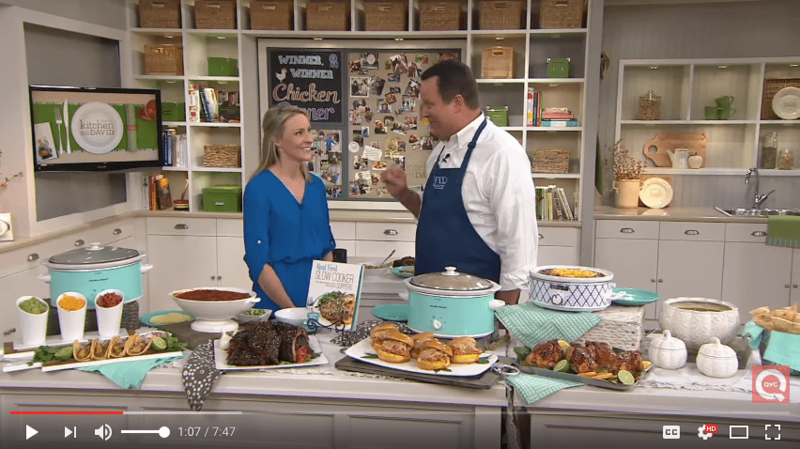 Thank you so much for linking it up with us at Foodie Fridays! 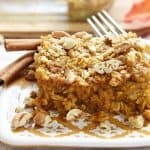 I wanted to let you know that I’ve decided to do a Halloween roundup for tonight’s Foodie Fridays and I’ve included Halloween recipes from several weeks of linkups! You will be featured tonight! 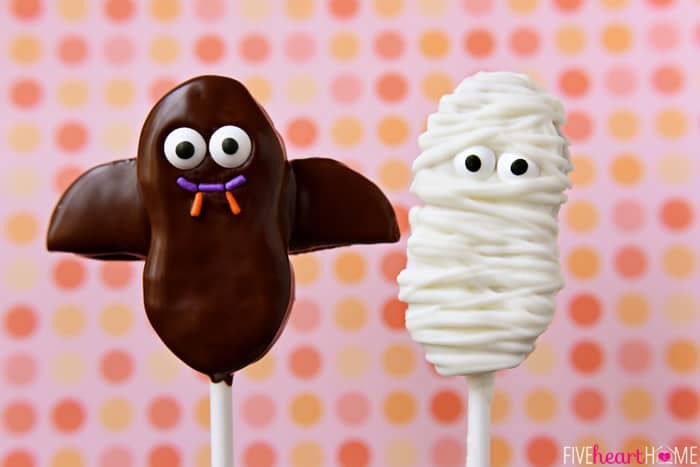 I think this is one of the cutest Halloween treats I have seen! The party goes live tonight at 9 pm EST…hope to see you there! Have a great rest of your day! Thanks so much, Michelle, for your sweet words and for letting me know about the feature. Can’t wait to hop over and check out the rest of the Halloween treats in your round-up! 🙂 Have a great week! The spiderwebs are so cute! Great idea! Pinning! I love this! It is super cute. Pinned. We had so much fun partying with you at our last party. We hope to see you tonight’s party at 7 pm. We love to see what you have been working on! Thank you for stopping by, Lou Lou Girls, and I appreciate you hosting and the pin! 🙂 Hope you’re all having a great week! Hi—-they really look adorable and tasty !! Do you think it would work if I sprayed my wax paper w/ Pam, instead of cutting the circles? 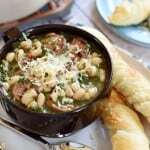 Thank you for sharing your recipe ! I am in LOVE with this spider web! 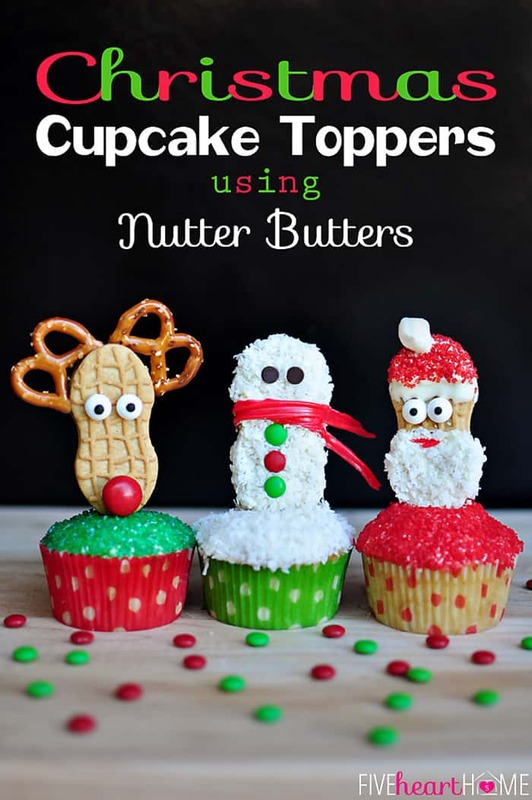 It looks delicious and so much fun to make for my kiddos! They are going to LOVE it too! I love how cute and fun these turned out to look. The sprinkles make a super special extra touch. It gives them just the right bit of Halloween pizzaz and color. 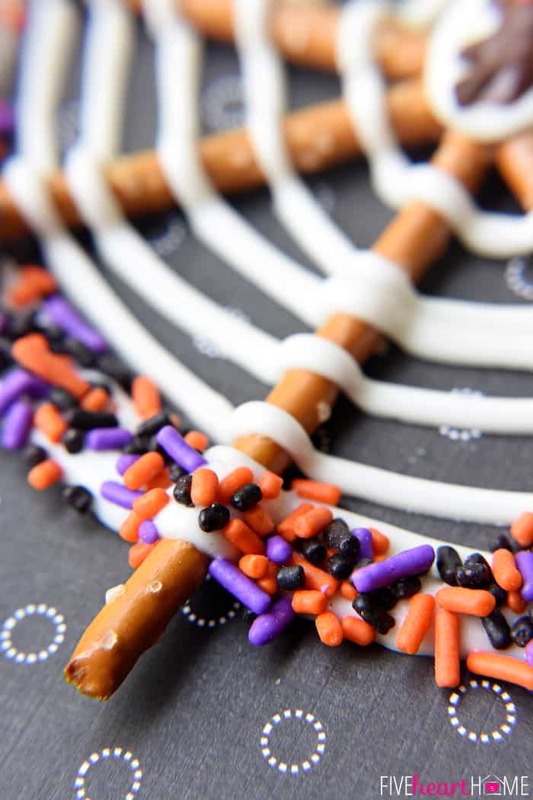 White chocolate pretzels are my favorite, so I know I’m going to add these to my Halloween “to do” list this month. I’ve pinned and am sharing these on my facebook. Thanks for sharing them with us! Great job. You are too sweet, Kim…thank you so much for the thoughtful comment! I appreciate the pin and the FB share, and I really hope you enjoy these spiderwebs when you make them. 🙂 Happy weekend! 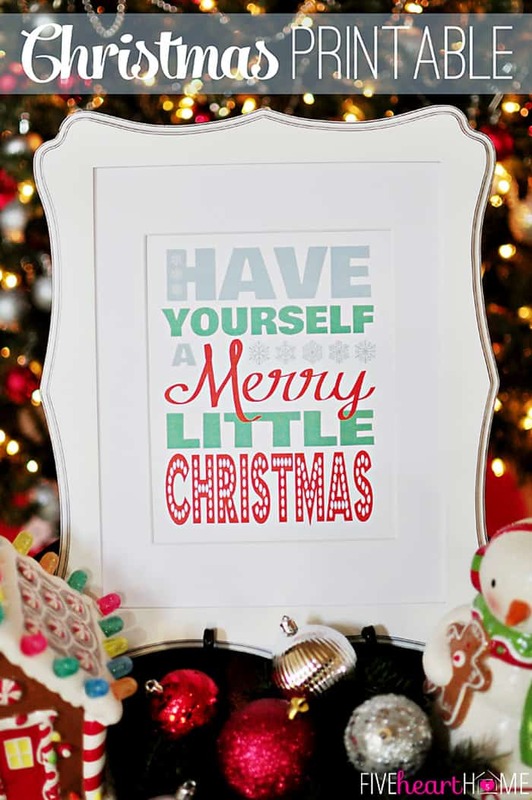 I stumbled this for you…so cute! btw your cupcake recipe I linked to on my site received nearly 2400 shares, hope you are seeing a spike as well! 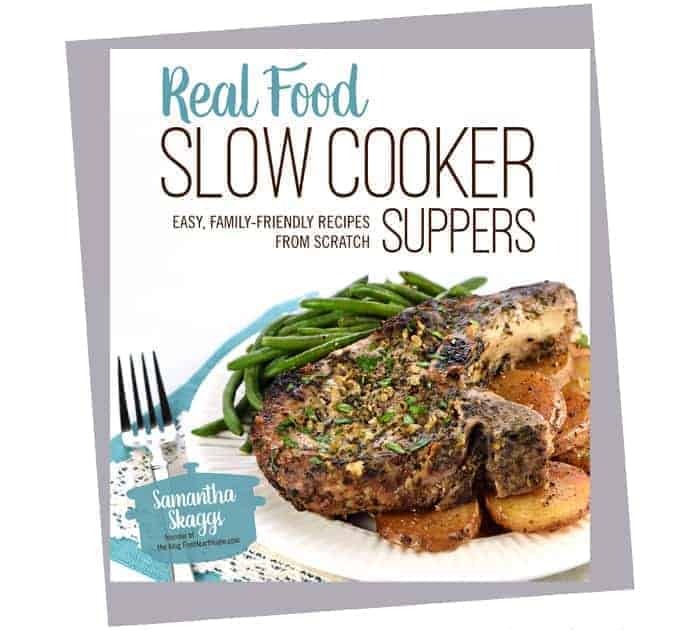 PS I’ll put the recipe title in for you now! Thanks so much, Carole! I hope your power is back to normal soon! This is not only beautiful but it looks delicious. What a cute Halloween treat! Those spider webs are so cute. Thank you for linking up to Show Me Saturday! Great Halloween treat Samantha! Too cute.. Browsing all your recipes in your blog( I’m jealous :D). I wish I could have a talent like you. You are too sweet, Anne…thank you! But no need to be jealous…I’m a work in progress just like everyone else. 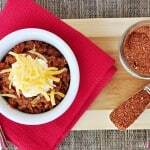 There are plenty of recipe fails and bad photos that you don’t see — ha! 😉 Seriously, though, I do appreciate your kind comment. Hope you have a wonderful weekend! I made these tonight and they turned out great! I did the wax paper trick and they came off nicely. It seemed to work better if I put a center circle of melted candy down first, then added the pretzels, then added an additional circle on top along with the webbing. This helped hold it all together. That is a great tip, Michelle…thank you so much for sharing so that others can benefit from your experience! I’m so glad that these turned out well for you and didn’t end up sticking. And I hope they were enjoyed by the lucky individuals who got to help you eat them! 😉 Have a fantastic weekend! Samantha these are amazing, My kiddos are going to go nuts!! 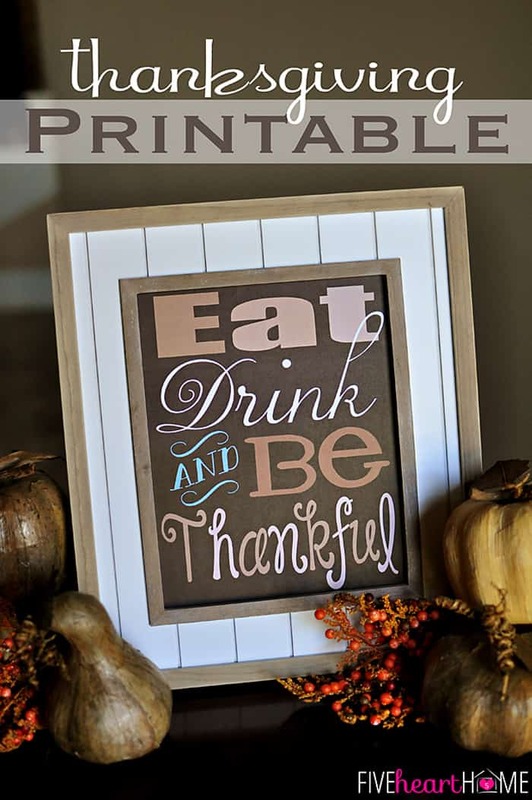 Thank you for linking up with us at Get Your DIY On! I hope you’ll join us in November with your furniture makeovers!! Thank you, Mandy! I love linking up with y’all when I have a post that fits the monthly theme. 🙂 I appreciate you stopping by!